How do you set your business apart enough to succeed – especially when you’re having to try and compete with companies like AliExpress? These best practices will help you not only get your business up and running without a hitch, but will also help you increase business and referrals. 1: Make sure you’ve crossed all t’s and dotted all i’s when it comes to your legal considerations. You need a business license in the US, and you may need additional licenses depending on your local laws, as well as any laws in the countries you deal with to source your products. You’ll also need to be aware of labelling laws, resale laws, and you may also need a seller’s license in addition to (or instead of) your business license. The legal side varies immensely between states, counties, and cities – so we’re unable to cover them in detail here. The best we can recommend is to research it heavily, and perhaps join your local chamber of commerce to ask questions of other business owners in your area. 2: When it comes to pricing, if you sell to both retailers and consumers, be sure you never undercut your retailers. Why would retailers buy from you if they can’t sell your products at a profit? Would you buy from a company that competed with your business directly? Of course not. So why would you be a direct competitor to your customers in the same way? This is a fairly simple best practice, one that doesn’t require an immense amount of effort or coordination – at least on the surface. You’ll still need to monitor and work with your customers to be sure you’re not undercutting them. The easiest solution, of course, is to only offer products as a wholesaler, to retailers with a business license. If you only offer products as a wholesaler/distributor, you’ll be able to set up your ordering processes in a simpler way, without needing a B2C ecommerce solution. 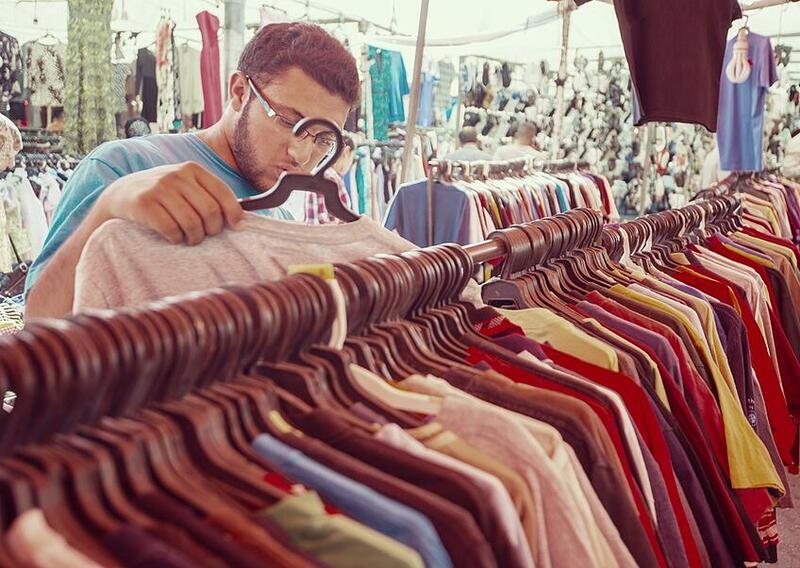 That question of efficiency – if you’re on the fence about offering both wholesale clothing (B2B) and direct to consumer products (B2C), you’ll want to carefully consider how profitable it truly is. 3: Make ordering as easy as possible for your customers. You’ll want to offer your customers their preferred method of placing orders. When you’re just starting to build up your base of retailers, you’ll have an easier time attracting and retaining new customers if they feel they can place orders in a way that they’re most comfortable. At first, that may mean accepting phone calls, email orders, and faxes. But in addition to the traditional methods of placing orders, you may want – and need – to offer the ability for online ordering. You don’t need to set up custom shopping carts or integrate with shopping templates like Shopify. Instead, look at tools like Now Commerce. Rather than forcing you to duplicate your entire inventory, with custom pricing for each client, you simply offer the ability for your customers to write up their own invoices. Their pricing settings, inventory quantities, everything is tailored to each customer you set up for online ordering. It’s easy for them, which is exactly what they want out of a new boutique clothing provider. 4: Make it easy for your potential customers to research your business. When you’re a new business, your potential customers will want to learn more about you. Make it easy for them. Provide an ‘about us’ section, describing you and any business partners. You’ll want to use this section to build up what is referred to in marketing as your “know, like, trust” factor. Even more than descriptions about your business founders, you’ll want to have plenty of information available about your clothing. If you’re targeting a niche vertical, make sure there’s plenty of relevant information that your end clients will want to know. Where your clothes are made, how long it takes for them to be delivered, and any other tidbits that help your customer understand what you’re offering. As you talk with prospective customers, keep a running list of the questions they ask. For every person you speak to over the phone or in person, there’s often twice as many (if not more) people who are looking for a business like yours online. They’ll have the same questions as the ones you answer personally, so you might as well put as many answers as possible on your website. 5: Keep your operations as efficient as possible. Naturally, the entire premise of your business is keeping a flow of product in and out of your business as efficiently as possible. You need enough product coming in to fill orders, while also keeping it moving out quickly enough that you’re earning enough revenue to cover your operating costs. You’ll have a small office team (at first, that’ll probably be you alone! ), and it’ll be vitally important that they’re able to accomplish their work as efficiently as possible. Using an effective warehouse management system will be essential, as will be keeping your accounting and inventory management practices as organized as possible. Ideally, you’ll want to integrate your accounting software with your other systems. As powerful of an accounting tool as QuickBooks desktop is, integrating it with your other processes can be less than straightforward. That’s why there’s a variety of tools that’ll help with this – Now Commerce included. Your warehouse, inventory, invoices, as well as how you ship your orders to your customers, all need to be connected. This connectivity between your systems means that your team doesn’t need to spend their time looking up inventory, orders, or shipping labels. It means as your customers place their orders, they’ll also be able to see that the items they’re ordering are in stock, as well as follow the shipment’s tracking information by logging in. 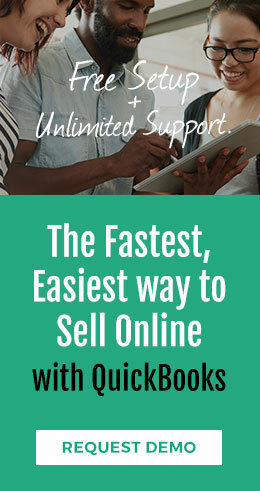 At least, if you’re using Now Commerce – this may not be the case for all QuickBook desktop integration tools. Questions about what Now Commerce is capable of when it comes to integrations with your other inventory and 3PL systems? Talk to us – it’ll be easier to answer your questions with a quick phone call. Just click here to get in touch! Above all, the number one way to help your wholesale clothing business succeed is to keep it streamlined. A common theme among all of the operational best practices is that you need to ensure that your business is efficient. It needs to be easy for customers to order, and those orders need to be efficiently processed along the path to fulfillment. There also needs to be an efficient way to offer each of your customers the custom pricing they expect, as well as offer them tracking information without having to call your office for every question they have. From inventory management to order fulfillment, as well as invoice generation and processing, there’s a software solution that helps. Now Commerce is one such software solution – in fact, we’re the only Intuit Gold Developer in the order management space. We can’t set your prices or help you navigate the legalities of your local area, but we can help you save enough time to figure those things out on your own.